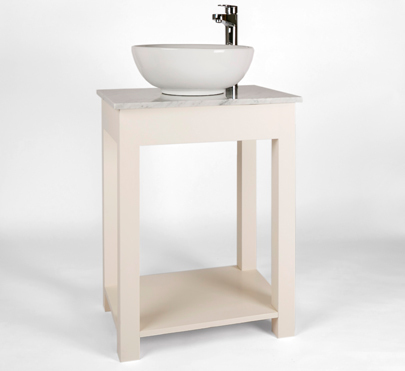 A simple and elegant vanity washstand makes a beautiful addition to any bathroom, suited to both contemporary and traditional settings. There is plenty room for a basket or decorative storage box underneath the countertop. 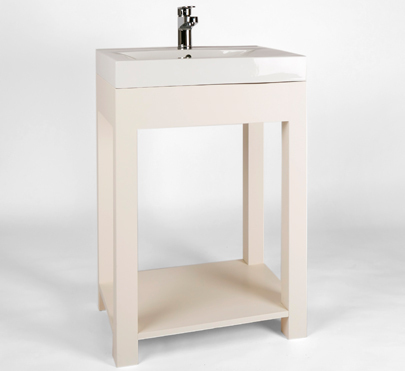 You can completely customise your Bathroom Vanity Washstand to suit your style and taste. The next step is to select the countertop (overlay sink, black granite, white marble or oiled oak) and width of your new bathroom washstand. 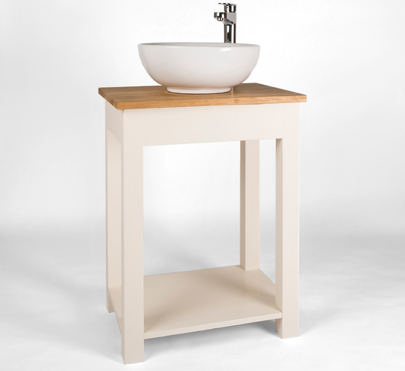 Prices listed above include the full vanity washstand in oiled oak or a painted finish with countertop and sink. Taps not included, see our Accessories page for further options. 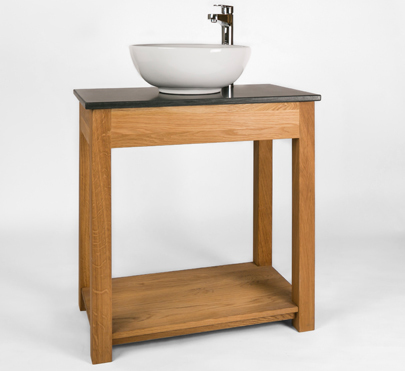 Your bathroom vanity cabinet comes in either oiled oak or painted in a selection of Fired Earth colours. We will happily use your own paint if supplied. Call us now on 01932 355 332 to order your bathroom cabinet or to find out more about our products.